Today, the Head of the Embassy and Permanent Mission of the Islamic Republic of Afghanistan and Permanent/Resident Representative to the United Nations and other International and Regional Organizations in Vienna, H.E. Ambassador Khojesta Fana Ebrahimkhel, attended the the 46th session of the Industrial Development Board (IDB) of the United Nations Industrial Development Organization (UNIDO). H.E. Ambassador Khojesta Fana Ebrahimkhel presented the statement on the item of gender equality and the empowerment of women in UNIDO. During the intervention, Ambassador Ebrahimkhel, welcomed the progress made by the Secretariat in the implementation of UNIDO gender parity action plan. Furthermore, Ambassador Ebrahimkhel commends UNIDO’s progress in the implementation of the 2030 Agenda for Sustainable Development Goals. Enhancing the role of women as drivers of poverty reduction, promoting female innovators and entrepreneurs, and recognizing the link between gender equality and safeguarding the environment directly contribute to SDG 9 on industry, innovation and infrastructure, and to SDG 5 on gender equality. 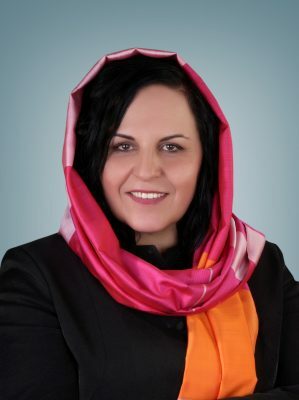 Afghanistan, as the newly official member of Group of Friends for Women in Nuclear, is committed to the Secretariats’ continued efforts to achieve gender parity in the staffing of both the IAEA and UNIDO. Ambassador Ebrahimkhel, as part of her pledge as International Gender Champion, reiterated her full commitment to the empowerment of women and to gender equality, and will undertake significant contributions to prevent violence and abuse against women.